Since 1977, we have been involved in laboratory and clinical research of lipids, lipoproteins and apolipoproteins, looking at the challenges of their standardization and their role in assessment of coronary heart disease risk. 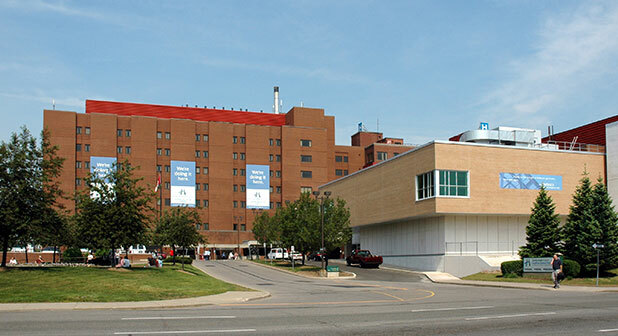 The CRLB (formerly known as the CRCTL) was established in 1987 to continue this work and create a facility that would function as a central laboratory providing services for clinical trials. The work was initially supported with grants from participation in clinical trials, small project research grants and contracts for central laboratory services for research. Some studies required that laboratory tests were executed at the time of specimen reception, but others stored specimens for several years so that analyses could be conducted at the end of the study. The size and scope of the CRLB changed rapidly when Dr. Salim Yusuf was recruited in 1992 to McMaster University and the Hamilton Civic Hospitals, where he quickly established the Population Health Research Institute (PHRI). The CRLB became more actively involved in large peer-review funded epidemiological and clinical studies beginning with the HOPE Study. This large, randomized trial of an ACE inhibitor and Vitamin E in patients at high risk of cardiovascular events involved more than 9,000 participants from 28 countries, so laboratory operations expanded and acquired expertise in the creation of collection, transportation and analytical protocols for large studies. 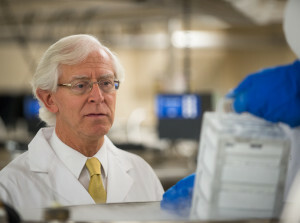 This involved transporting materials and specimens to and from many countries and ensuring blood sample quality from collection to receipt and storage by the central laboratory in Hamilton. This also marked the start of the CRLB/PHRI Biobank. For many years research study samples had been stored, usually at -70°C to -80°C, but the large numbers involved in the Interheart study created a new storage challenge. In the mid-1990’s the decision was taken to store the samples from all future studies at -160°C to -180°C in nitrogen vapour for long term stability. This decision emerged from various reports relating to the uncertainty of stability of samples stored at -20°C and even -80°C. It had also become apparent that when large, international studies were designed there were a limited number of laboratory investigations required as part of that study either for safety monitoring or to contribute to the evaluation of the study objectives. However, the interval from study design to final analysis generally covered a range of 5 to 10 years. By the time a study was finished, there were publications suggesting the possible value of additional biomarkers that were not considered when the study was first designed. This experience informed the decision to select storage in nitrogen vapour as having the potential to ensure the greatest stability for the largest number of biomarkers. Pursuing these goals while fulfilling our mission to be a state-of-the-art IQMH ISO15189 Accredited facility supporting the pursuit of excellence, innovation and exemplary professional standards in research, with a commitment to the highest level of customer service and quality assurance management, provided great opportunity as well as unique challenges to the scope and practices in the CRLB.